Below is a piece written by Nadine Byers, a HealthCorps Navigator serving in the Early Detection Program at CHC. October was National Breast Cancer Awareness Month and Nadine provided some feedback on efforts made at CHC to support this important cause. All of us know someone who has been affected by breast cancer. When our close friends and family members are diagnosed with this disease, it often comes as a shocking reminder that we need to embrace life and appreciate every moment that we can share with our loved ones. In October, everywhere you look there is something pink for sale; I sometimes start to feel like Breast Cancer Awareness has morphed into something more about consumerism than it is about prevention, early detection and care. However, in the true spirit of fighting breast cancer, the Early Detection Program holds an event every year to promote screenings and awareness, and to encourage our patients, co-workers and friends to take a moment to have some silly fun while they remember and honor breast cancer survivors. They do say that sometimes laughter is the best medicine. On Thursday, October 18, 2012, employees at the CHC sites in Middletown and Clinton wore pink to promote awareness of this all-too-common disease. Our co-workers in the Middletown buildings embraced this directive with relish, decking themselves out in pink shirts, ties, dresses, scarves and earrings. I even heard one of our facilities employees complaining that they will need to get pink uniform shirts next year so they will be able to participate. 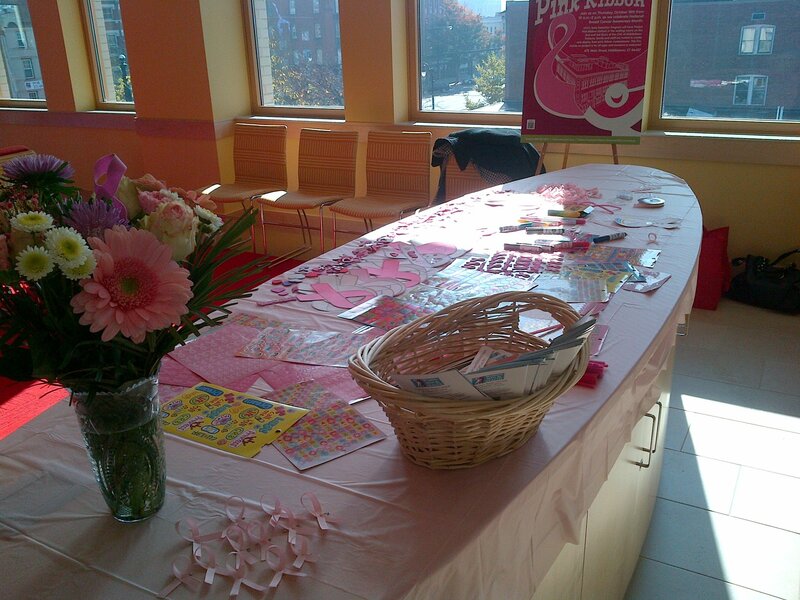 The Early Detection Program set up Pink Ribbon Stations in the patient waiting areas on the second and third floors of the new Peace and Health building, distributing information about our services and encouraging everyone to stop for a moment and think about how they have been affected by breast cancer. 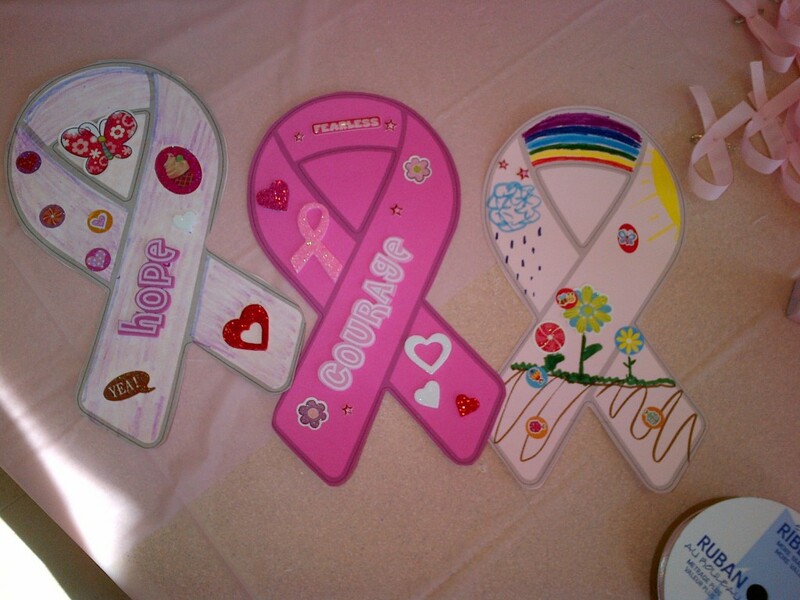 Patients and staff were invited to decorate a paper ribbon to express their feelings about Breast Cancer Awareness with results that ranged from memorials of loved ones to messages of encouragement, hope and support, to joyous celebrations of life. I wanted to share some of these beautiful ribbons with the greater CHC community in the hope that you, too, will pause to consider the effects that breast cancer has had on your life and what you can do to support survivors and their families, reduce your own risk of developing cancer, and ensure that every woman has access to life-saving cancer screenings and care. 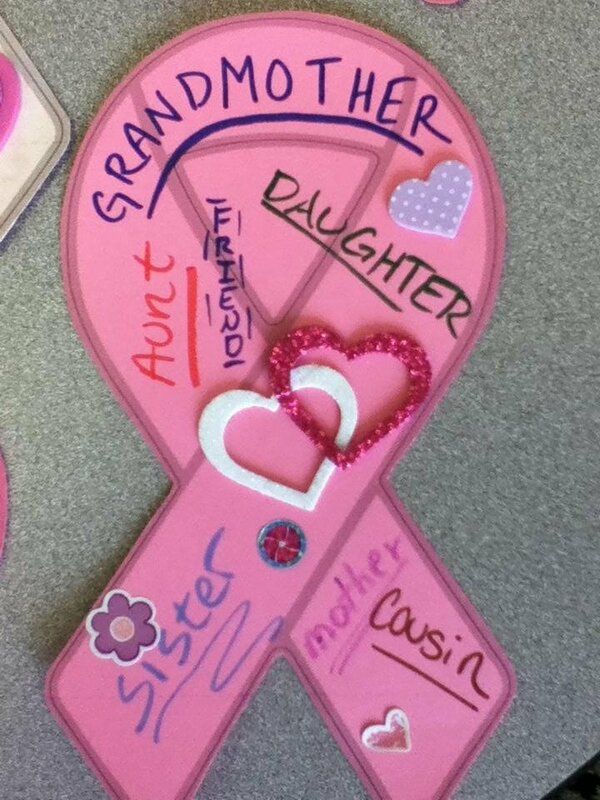 If you created one of these lovely ribbons and would like to claim credit, dedicate it to a loved one, or have us remove it from this post, please contact Pat Wildes at [email protected] or Nadine Byers at [email protected] . The ribbons will be on display in the Early Detection Program office as soon as we figure out a good way to hang them up.